A display of the recently signed MOU between Aero Services Credit Union and SITAL College. 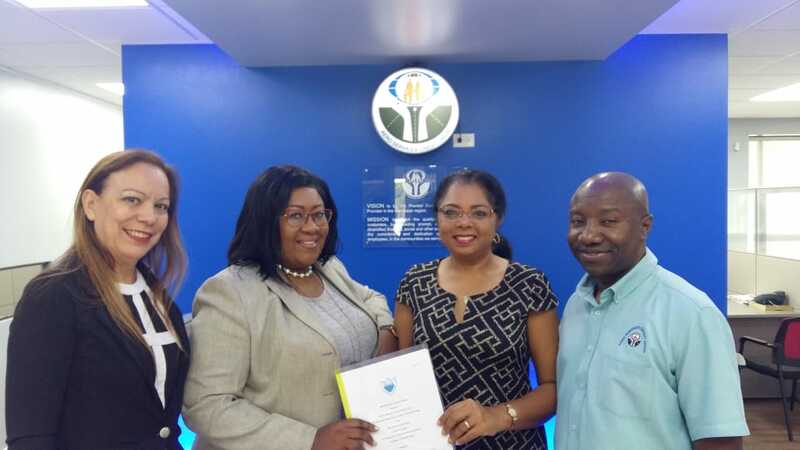 In photo from L-R are: Graciela Boodoo, Stakeholder Engagement Specialist, SITAL College; Jo-Anne Edwards, General Manager, Aero Services Credit Union; Ann-Marina White, Executive Director, SITAL College and Lyndon Byer, Director, Aero Services Credit Union. The MOU allows Aero’s members and staff to benefit from discounts form SITAL. Visit our ‘News Category’ on our Website for actual discounts.